One of the larger islands off the East coast of Thailand, Ko Pha Ngan is the place to go for a Full Moon Party. Popular with backpackers, the island boasts beautiful beaches and an array of affordable accommodation. 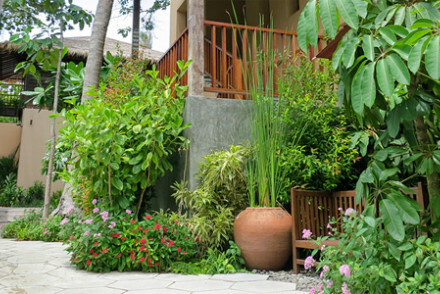 However, if you’re there for some relaxation there are also numerous Buddhist temples, spas, and meditation retreats. Our pick of the best places to stay in Ko Pha Ngan is a luxury property well situated for exploring this diverse island or for total relaxation. Although the temperature on the island stays around 30 degrees year round, if you’re hoping to avoid the tropical showers don’t go between October and January. Scuba diving and snorkeling. Take to the warm water to peek at the wonders that lie below. Thong Nai Pan Noi. Relax at this beautiful white sand beach with refreshingly cool water. Bottle Beach. Another stunning beach with a handful of bars to keep you refreshed. Diamond Muay Thai. If you fancy blowing off some steam, try this authentic Thai boxing camp. They offer training to anyone, from professionals to tourists. Buri Rasa is located on one of the islands most beautiful beaches and offers rooms with a sea view, not to mention a spa and gym. A luxury resort set on a stunning stretch of private beach in a quiet part of the island. Lavish Balinese-style villas boast their own private pools and are decorated in a traditional manner yet with plenty of modern luxuries. Offering a spa by L'Occitane and a romantic beach-side restaurant. 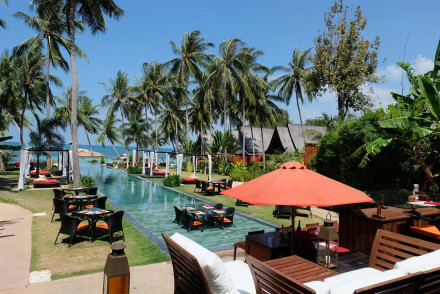 Opened in 2013 Buri Rasa is a relative newcomer hotel scene and located on one of Thailand's prettiest beaches. All 65 rooms are bright and colourful with balconies - so make sure you opt for sea facing! There is a popular restaurant, Spa and gym with sea views. Relax and avoid the full moon!